Please NO: "Neon," Fluorescent, or Dark-Colored Papers, Newspaper or Cardboard, Kraft® or Goldenrod (orange-brownish envelopes), Stickers or Sheets of Address Labels or other non-paper material. 1. Spare the shred. Please avoid shredding paper whenever possible. Shredding shortens the paper fibers and therefore cuts the recycled life of paper in half. 2. Shred paper only, no plastic. Be careful not to include items like faux credit cards made of plastic, promotional stickers or sheets of address label stickers. 3. Rip it, don’t shred it. Instead of shredding, consider ripping off sensitive elements of your documents (bank account numbers, social security numbers, etc.) and shredding or ripping only those parts, leaving the rest of the page whole and recycling it with your single-stream recycling. 4. Mark it, don’t shred it. Another alternative to shredding is to simply black out sensitive information with a permanent black marker, taking care to mark both sides of the paper if the content is still visible from the back. You can then recycle the paper whole in your single-stream bin. When you shred paper, what you're actually doing is cutting the lengths of the individual paper fibers, thus cutting the future recycling potential of that fiber. The length of a paper fiber determines its value since a longer fiber can be used to make a higher-grade paper and can be recycled more times. At the Boulder County recycling facility, mixed paper from households and businesses goes over an automated screen that makes the paper product cleaner by shaking out non-fiber contaminants like bits of glass, etc. The only problem is that the shredded paper gets grabbed by the fingers on the screens and gets pulled into the reject bin, and off to the landfill. The paper mills that buy recycled paper must do a quality sort on the material before they put it into their multi-million dollar machines, and it's just plain impossible to do a good quality sort of shredded paper. Many contaminants can hide in the shred, such as plastic strips from a document cover that were accidentally shredded along with the paper. For this reason, paper markets don't like to buy shredded paper and don't like to see it in with the higher-grade junk mail and office paper. Shred only the portions of the document containing sensitive information. For example, your personal information may be on the bottom third of a document while the remaining two-thirds is just general information. The personal information can be torn off and shredded while the rest can be recycled. Establish a company policy at your business on what needs to be shredded and what does not so everyone is on the same page. Put an end to junk mail such as credit card offers and remove old employees from mailing lists. Learn more. Go paperless. Scanning and emailing documents can reduce paper usage, office costs, and the need to shred. Check out th city of Seattle's PaperCuts program for great tips on saving paper and money around the office. If you must shred paper, set your shredder to the thickest width so your confidential information is illegible, but there is more intact fiber. Shredded paper should be taken to the drop-off center. Paperboard is a much lower-grade category of paper fiber, which is more appropriate for shred, and we don't run it over the screens at the recycling facility; it just gets bailed directly from the collection bin. Because of its low value, we pay to have it recycled. Shredded paper is NOT acceptable through curbside recycling. 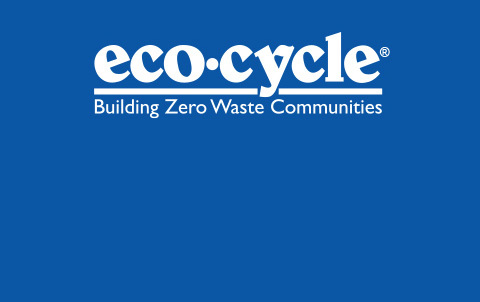 Eco-Cycle also provides a drop-off bin for document shredding at CHaRM for those sensitive documents that must be shredded. Learn more about this service.